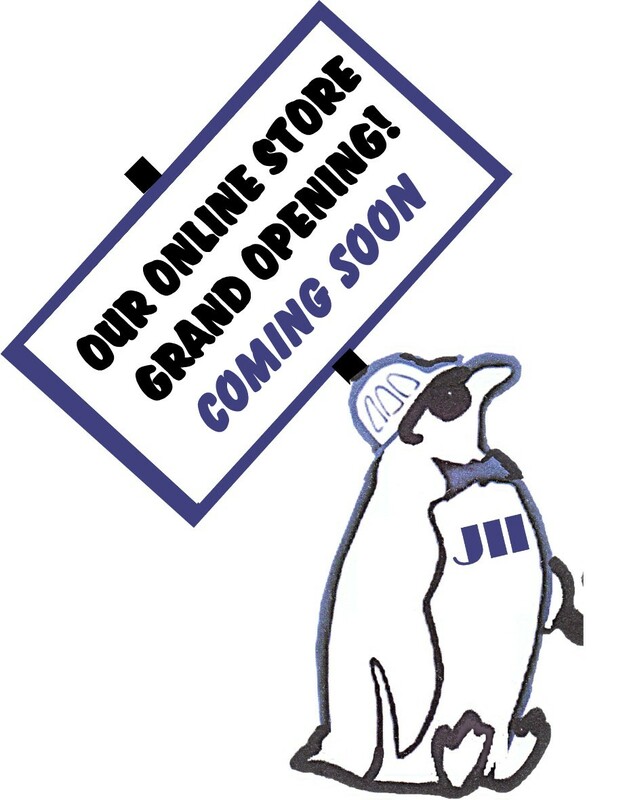 Our online store will be completed soon. You will soon be able to see products, view specs and sizing charts, and specify shipping or local scheduled or standard delivery right from your home. 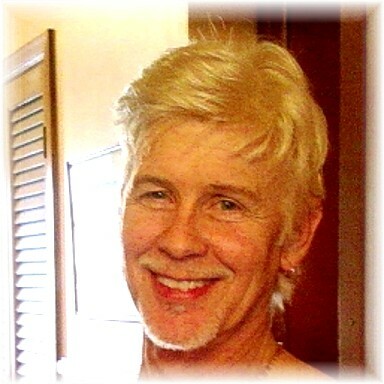 And, if you need assistance, you can still call or email for professional knowledgeable help with your selections! 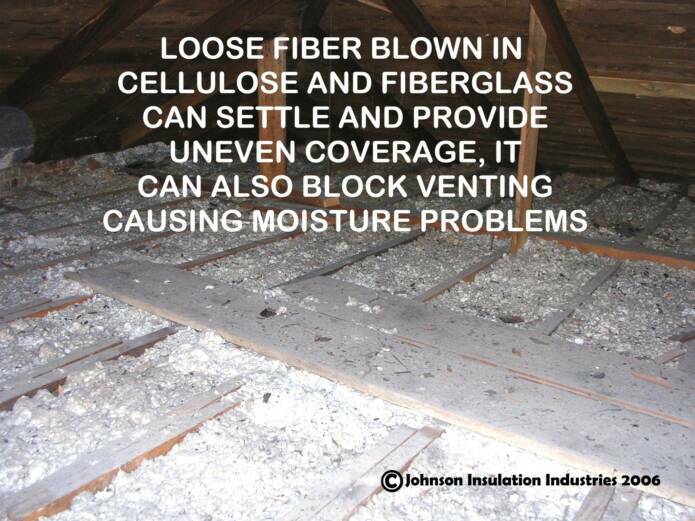 Did you know that insulation delivers one of the fastest returns on investment of ANY home improvement project? Enjoy the comfort while your home pays you back with energy savings AND increased property value! Q: Is there such a thing as “GREEN” insulation? A: There are new an innovative products entering the market everyday. Many of these claim to be “GREEN”, just by the fact that they are made from re-cycled products. Some are also treated with chemicals to resist fire, moisture, and vermin nesting. Many hit the market with minimum testing and no real track record. Some are inordinately expensive. It’s just so hard to make the right choice. 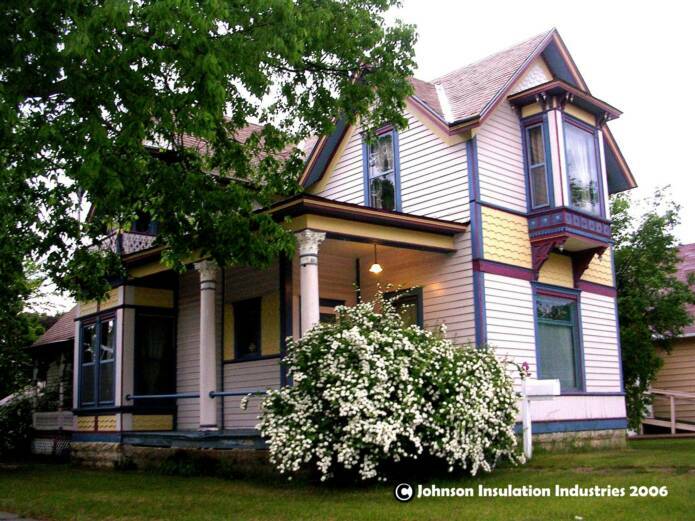 We at Johnson Insulation Industries understand that our customers want safe, efficient products that improve the value of their home, save their energy dollars, and help to save the environment. In general, most existing and proven insulation products can be considered green, because they increase your fuel efficiency, thus reducing your “carbon footprint”. We assess all the new products on several different performance aspects before we recommend them to you. Let our insulation professionals help you to make the right “GREEN” choice for your home, your comfort, and your budget! ENCLOSED IN MICRO-PERFERATED PLASTIC TO ALLOW AIR TO PASS, NOT FIBERS! A clean, safe, energy saving solution! SAFE PRODUCTS FOR YOUR HOME ENVIRONMENT! 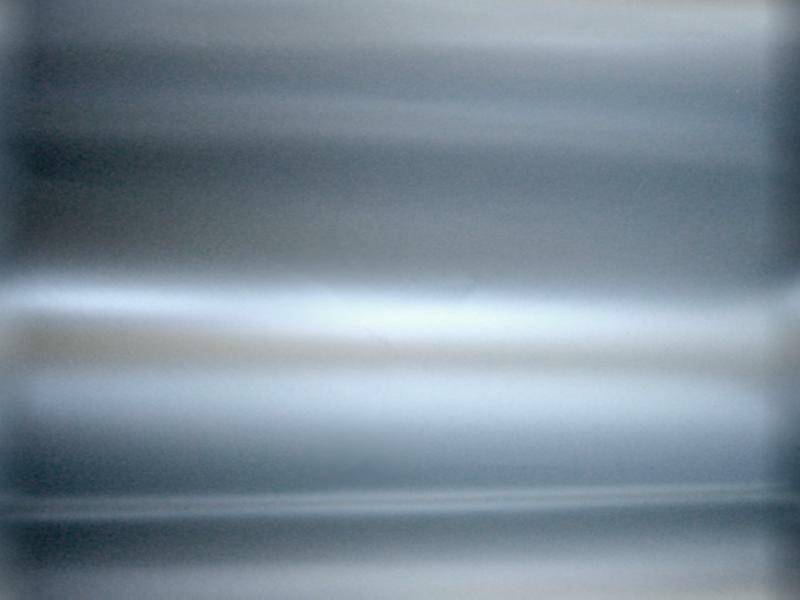 Q: WOULD YOUR REFRIGERATOR WORK WITHOUT INSULATION? IMPORTANT TO KEEP YOUR HOUSE COOL IN THE SUMMER, AS IT IS TO KEEP YOUR HOUSE WARM IN THE WINTER! 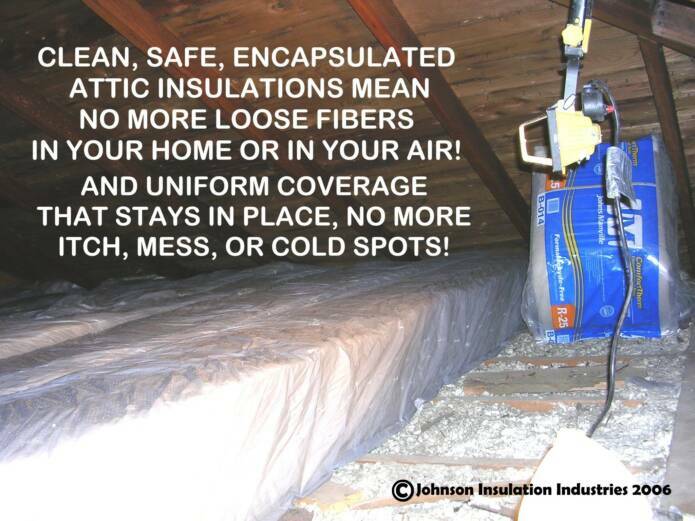 INSULATE AND SAVE $$$$!